Who would have thought that my second Kiva Fellowship would teach me just as much about microfinance as about the rearing of sheep? Seriously, ask me anything you want: How do you best hold a lamb? How do you wrestle with a grown-up mutton? How do you treat sheep for worms? Where and how often do you set them a vaccine? How do you determine a sheep’s age? Why does a sheep bite normally neither hurt nor bleed? For what reason does a sheep have four stomach compartments? And how do you compel a lamb’s reluctant mother to accept her kid after birth? 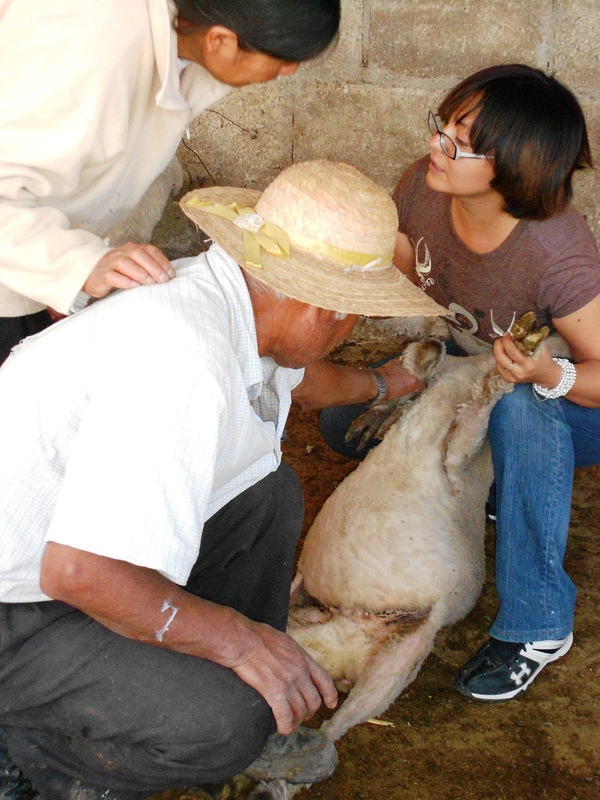 I owe this knowledge to UNAM-educated veterinarian Linda Velázquez Rosas, who made a sheep-expert not just out of me, but also out of 200 amateur sheep-owners in and around the little town of San Felipe del Progreso, two hours west of Mexico City. 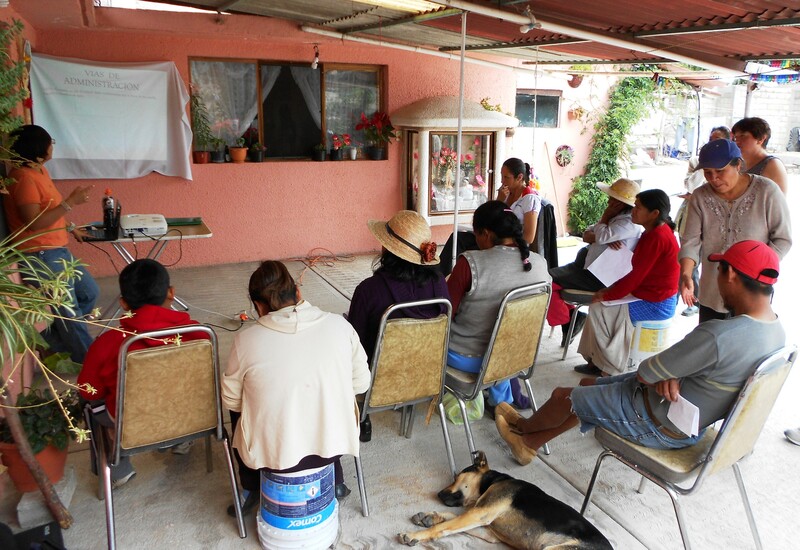 This training was made possible by Vision Fund Mexico (also known as Fundación Realidad or FRAC), a Kiva field partner that excels both at financial and non-financial services (in a previous blog post I documented an artisan fair in Mexico City that was co-organized by FRAC). Felipe Santiago Cruz, FRAC’s Adviser for Client Training and Empowerment, tells me how it all started: “A few months ago, I visited the branch of San Felipe del Progreso, where I talked to a group of clients. Suddenly, in the middle of our meeting, two men had to leave – as they told me, in order to look after their sheep. That’s when I got the idea of organizing a client training on the topic of sheep rearing. I immediately proposed my idea to the clients who were still with me. They reacted with great enthusiasm. One woman spoke up and said: “If you organize a training session for us, I will definitely be there. I had two sheep in my house and they suddenly died. I lost all the money that I invested.” Other women who were present told me the same. 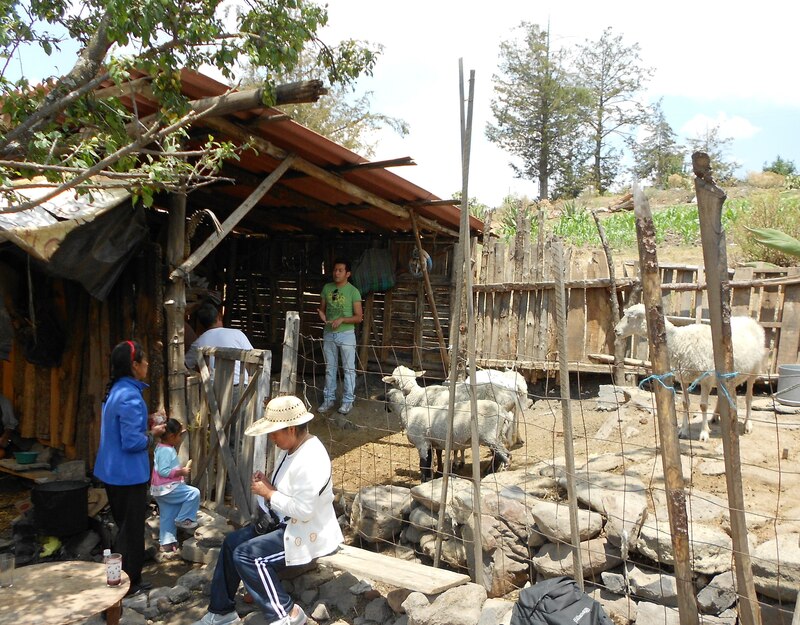 None of them had ever attended any such training.” Felipe continues: “I discovered that 30% of our clients in the San Felipe branch had originally received their loan to raise sheep. And they all really needed the training. I just had to convince my boss to let me work on the project, research and plan it, raise the money, and finally contract a qualified veterinarian.” It took Felipe about two months of work, from the moment of conceiving the idea to its ultimate realization. An installation in FRAC’s entrance hall sets the mood for the day. As soon as I heard of Felipe’s project, I requested to spend some time in the field to observe Linda, the contracted veterinarian, in action. Finally, in mid May, the day had come: Linda had just finished an evaluation of the needs of sheep-owning FRAC clients and she was planning to give a presentation to a borrower-group of 15 women. At 9AM on a chilly, beautiful Tuesday morning, Linda and I left together the local branch of Vision Fund Mexico in San Felipe to drive with a taxi to a rural suburb where we soon found the house of Maria – the group leader. In fewer than fifteen minutes Linda had set up the improvised playground: the covered outdoor space next to the front door served as our conference hall, a bed-sheet was turned into the screen, and a garden table was the pedestal for the projector. 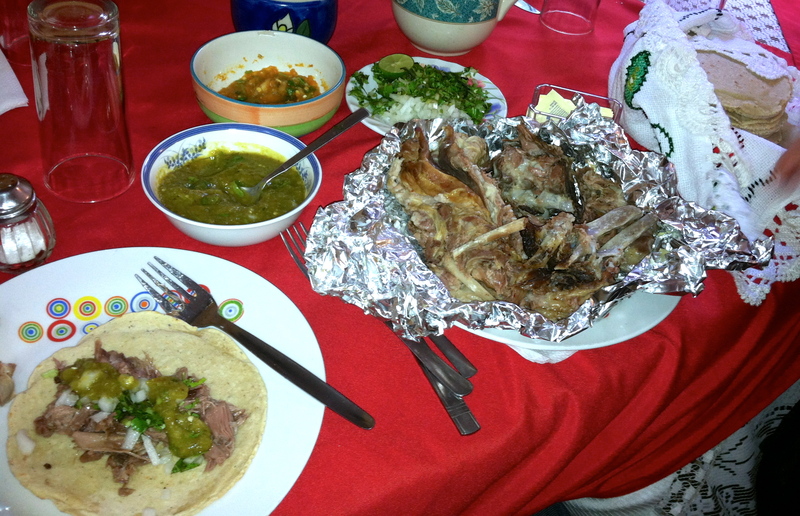 As I found out later in the day, barbacoa is the signature dish of the area: sheep meat is sprinkled with a little salt, wrapped into agave leaves, buried into the ground, and cooked overnight under hot ashes or alternatively walled into a clay oven. I was impressed (and hungry) and wanted to ask more, but Linda was ready to begin her presentation. At that point, her audience consisted of fourteen attentive borrowers. Additionally, our group had also been joined by two dogs, four kindergarten-aged kids, and several uninvited, but welcome guests – mostly village people who approached us with a shy curiosity and ended up staying for the entire presentation. Linda’s presentation began innocently enough, with a little game during which she showed pictures of sheep and encouraged her audience to point out the mistake. For example, what’s wrong with the sheep on your left? 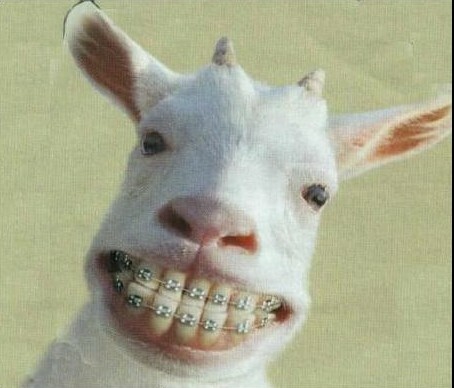 Correct: sheep don’t have any upper front teeth, which is the reason their frontal bites are pretty harmless. The takeaway for Linda’s clients was: if you have a sheep with upper teeth, sell it to the barbaquero right away, unless you are keen to create a new generation of sheep that’s equally disfigured and snappy! In that vein, Linda continued to share useful, practical, and inexpensive easy-to-implement recommendation with her listeners – for two more hours! Linda (on the left, in an orange t-shirt) is explaining the digestive system of sheep to the group members. Everybody is very attentive, with the sole exception of an obviously hung-over dog. By the end of Linda’s presentation, the number of listeners was higher than ever, after several curious neighbors had joined the borrower group. …and here is a final model: a mini-house for the family sheep. The project’s creator and manager, Felipe, is observing the results of his work (right-hand side, in a green t-shirt). 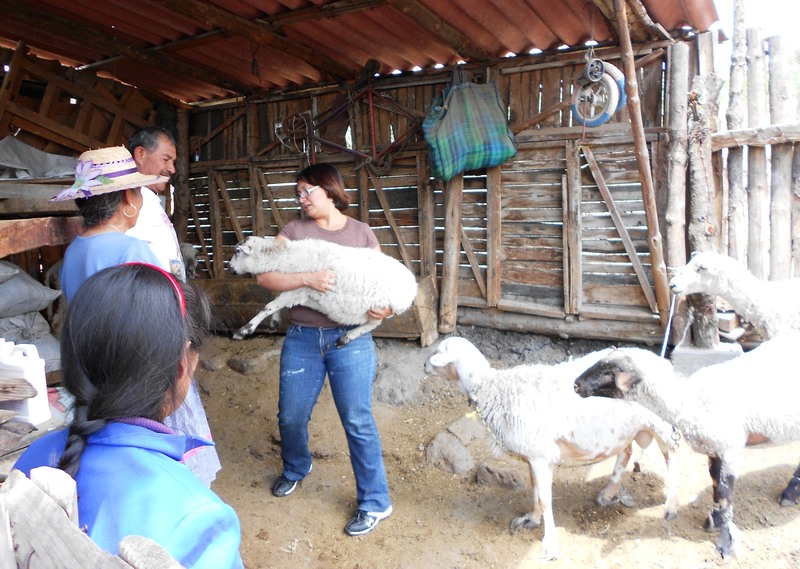 The work begins: Linda helps a client hold a sheep so that it can receive its deworming medication. Positioning the vaccination needle at the right location is definitely true team-work. Linda demonstrates the right technique for holding a lamb. The three observing sheep seem to be equally appalled as scandal-mongering. Another borrower is introduced to the right technique of immobilizing a sheep in preparation for its vaccine. 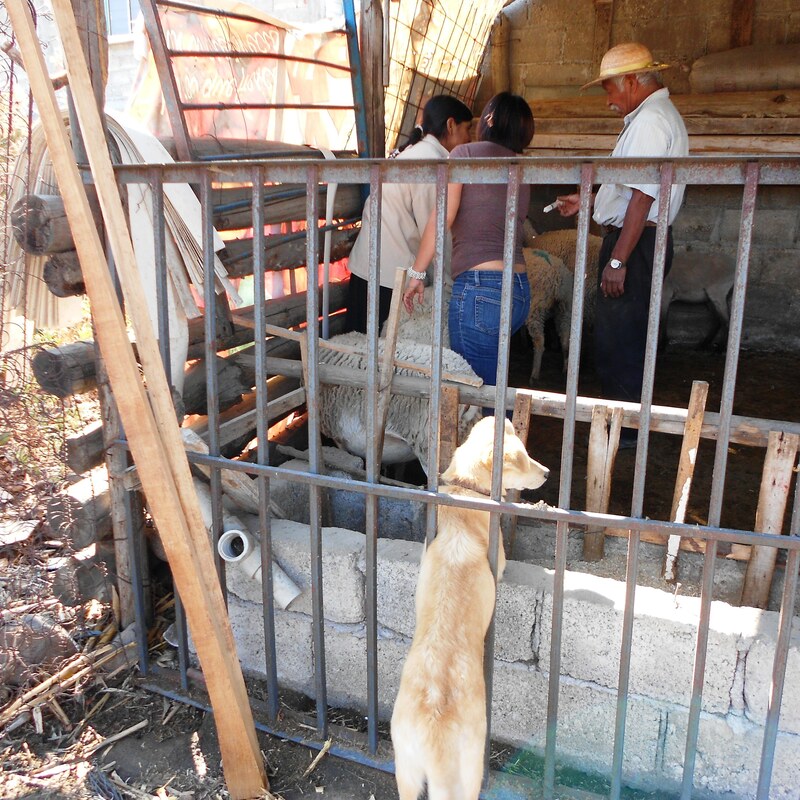 It is worth mentioning that the medical treatment of the hundreds of sheep comes at no cost to the 200 clients, yet it does represent a large expense for Vision Fund Mexico. Where do the 80,000 Pesos (around $6,500 US-Dollars) for the project come from? As Felipe told me, 90% of the money is paid through a grant of the Mexican Economy Department. 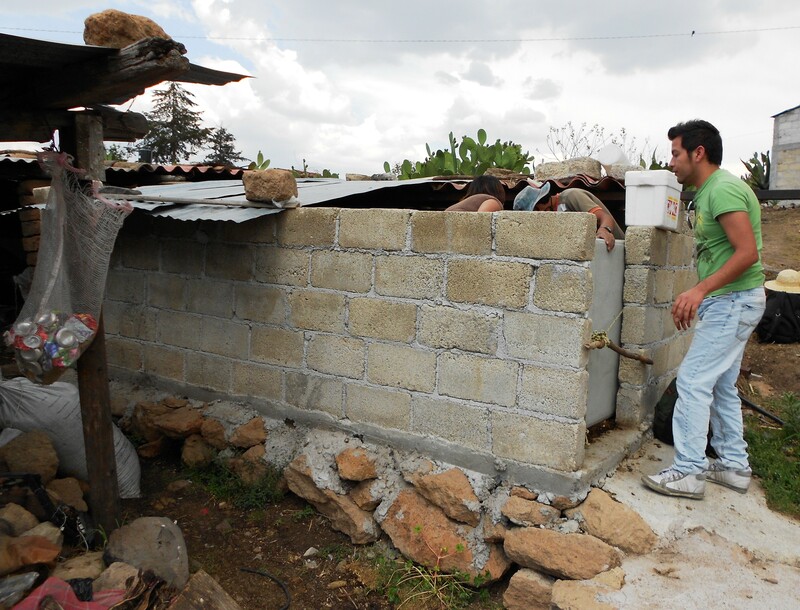 The remaining funds come out of FRAC’s own reserves, part of which comes from each and every Kiva lender who has ever made a loan to a client of Vision Fund Mexico. Why? Because your loan represents an income gain for Vision Fund Mexico: Kiva funds are interest-free for all Kiva partner organizations, but Vision Fund Mexico will ask its Kiva micro-entrepreneurs to pay the same interest rate as borrowers whose loans are not financed through Kiva. Or differently put: thanks to Kiva’s interest-free funds, Vision Fund Mexico can save money by not having to tap into other financial sources that would invariably come at a significantly higher interest rate. Vision Fund Mexico can use its positive interest spread (in the first case), respectively its savings (in the second case) to improve and enhance the services they provide to their clients. Each and every FRAC loan that has been funded through the generosity of Kiva lenders, makes it possible for Vision Fund Mexico to finance innovative non-financial services such as the sheep training and the co-organization of Mexico’s largest artisan fair which I described in this blog post. In other words: your Kiva loan makes an impact well beyond the life of the Kiva borrower who is the immediate recipient of your funds. 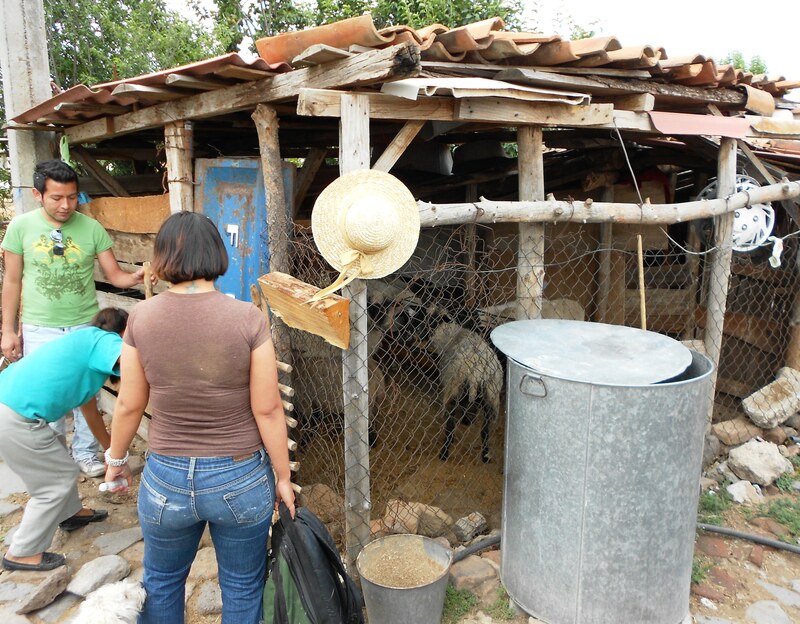 Your one loan may well touch the lives of hundreds of borrowers – and thousands of sheep! Lastly, I still owe you one answer: if a sheep mother rejects her kid after birth, simply sprinkle a little salt over the newborn lamb; the mother will lick it off and thus unwillingly gain the sense of duty to suckle her offspring. Rather than trying to find an opportunity to apply that crucial piece of knowledge in our daily lives, I propose we all make another loan on Kiva right now! Emmanuel M. von Arx is a Kiva Fellow working with VisionFund Mexico (FRAC) in Mexico City. 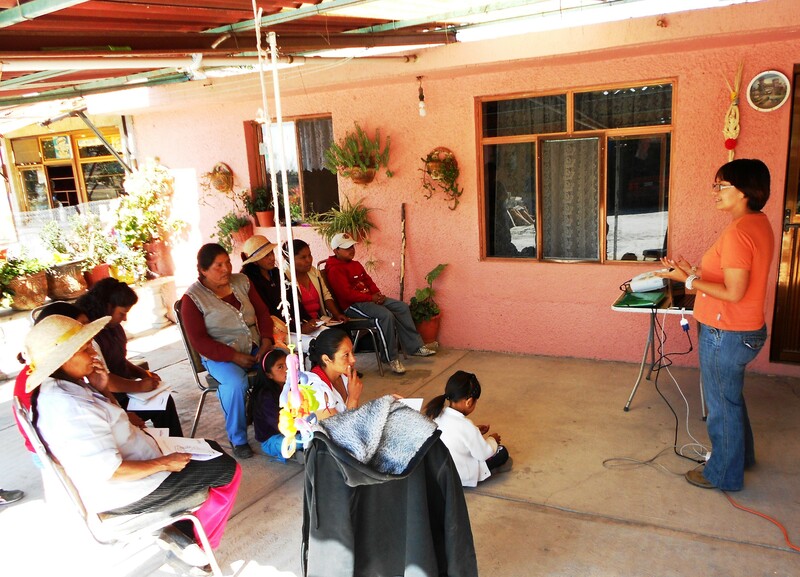 FRAC provides innovative financial and non-financial services to families and groups that do not have access to formal banking services in rural and semi-urban regions and communities in 12 Mexican States. To learn more, please visit FRAC’s partner page on Kiva or join the Friends of Fundacion Realidad. Entry filed under: Uncategorized. Tags: Anti-Poverty Focus, barbacoa, blog sherpa, blogsherpa, changing lives, Charity, Countries, development, discount, donation, economic development, empower, Family and Community Empowerment, field partner, fighting crime, FRAC, Fundacion Realidad, fundraising, giving, Grameen, grameen bank, grameen foundation, handicrafts, Independent Travel, International Development, international development volunteer program, international volunteer, KF16 (Kiva Fellows 16th Class), KF17 (Kiva Fellows 17th Class), KF17 (Kiva Fellows 17th Class). Tags: Americas, Kiva, Kiva Fellows in the field, Kiva Field Partners, Kiva lending teams, kiva microfunds, Kiva Staff, Kiva Team, Kiva Team. Tags: adventure, kiva.org, lambs, Lending, lending teams, loan officers, loans, Lonely Planet, Lonely Planet Blogs We Like, Mexico, MFI, micro enterprise, micro loans, micro-entrepreneurs, microcredit, microenterprise, microfinance, microfunds, non-profit, poverty, poverty alleviation, poverty reduction, San Felipe, sheep, single mothers, small business, social enterprise, social entrepreneurship, social investment, Social Performance Tagged: Alleviate Poverty, solo travel, sustainable development, training, Travel, Travel Blogs, vaccination, vaccine, veterinary, Vision Fund Mexico, visionfund, volunteer, Volunteer Vacations, volunteerism, women entrepreneurs, working poor, World Education, World Poverty, youth. A United Africa Part One: What is standing in the way? A United Africa Part Two: Why is my internet so slow, why are my phone calls so expensive and what can be done about it to unite Africa, enhance Kiva, and speed development? This was a great post Emmanuel! Being the granddaughter of a sheep grazier made it particularly lovely for me! It is wonderful to hear the knock on effects providing some funding through Kiva.org allows the MFI’s to support their clients even further. Thanks so much Emmanuel, for documenting a little of the activities that we develop in order to empower our clients in FRAC, We finnally finished the proyect this week and we trained 202 clients during this three monts. I hope see in contact with you an tell you more about what we do for help our clients, because they have many different necesities. Emmanuel, this is one of my favorite blog posts of 2012! Excellent job. Providing these services are so crucial for farming communities. Inspiration for other MFIs!